Interfacial perpendicular magnetic anisotropy (PMA) in Pt/Co40Fe40B20/MgO and Ta/Co40Fe40B20/MgO multilayer structures has been researched at various CoFeB layer thicknesses. Magneto-optical Kerr effect (MOKE) and vibrating sample magnetometer (VSM) measurements show that while strong PMA is achieved in Ta/Co40Fe40B20/MgO structure for the thickness of Co40Fe40B20 range from 0.5 to 1.0 nm, a very weak PMA is observed in Pt/Co40Fe40B20/MgO film stack for the same Co40Fe40B20 thicknesses. Based on the experimental results, the interfacial anisotropy energy in Ta/Co40Fe40B20/MgO (1.17 erg/cm2) was found to be almost 2.5× larger than that in Pt/Co40Fe40B20/MgO (0.43 erg/cm2). It is accepted that the PMA comes from the seed/ferromagnetic and ferromagnetic/oxide layer interfaces. Thus, the origin of interfacial magnetic anisotropy can be hybridization and/or crystallinity properties at the interfaces in Ta- and Pt-seeded stacks. While the PMA is strong in Pt/Co/MgO structure, it becomes in-plane in Fe-rich Pt/CoFeB/MgO structure. It is deduced that hybridization between 3d-5d (Co-Pt) orbitals is more dominant in Pt/CoFeB interface than 2p-3d (O-Fe) hybridization at CoFeB/MgO interface in Pt-seeded stacks. In addition, the crystallinity was studied by performing high-resolution x-ray diffraction (HR-XRD) technique. The crystal orientations of Ta and Pt are found as (002) and (111), respectively. The ferromagnetic layer might be induced out-of-plane orientation in Ta-seeded stack due to observing highly crystallized MgO (001). 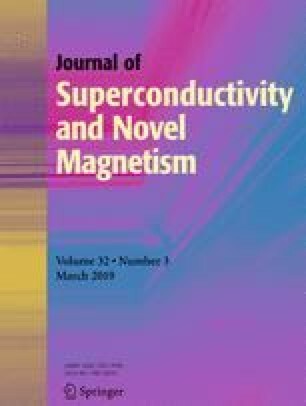 Thus, another reason for in-plane magnetic anisotropy in Pt/Co40Fe40B20/MgO might be the absence of MgO crystallization because Pt is crystallized fcc (111) orientation. This work was also partially supported by Çukurova University (Adana/Turkey) and University of California Los Angeles (Los Angeles/USA) in terms of usage of facilities in Device Research Laboratory and Central Research Laboratory. The author thanks Dr. Kang L. Wang, Dr. Pedram K. Amiri, and Dr. Ahmet Ekicibil for their valuable discussion. This work was partially supported by Adana Science and Technology University (Adana/Turkey) under the project number of 17103024.